Home Running Advice Trail running – natural rehab? Trail running – natural rehab? For a long time my running consisted of just 2 routes. Left or right. I'd stand on the sea front and decide if I headed east over the cliff tops or west along the crowded, but flatter, promenade. Throughout 4 months of marathon training all my runs consisted of going either left and east or right and west or, a combination a little of both in a circular route. It's only recently when I reached the usual point on my easterly run where I turn to head home, that I started to wonder, why not just keep going? So one day I did and went on an 'exploratory run'. Each new run lead to discovering more routes. I'd wonder 'where does that path go?' and the next run I'd find out. I started to choose different routes and paths and got more and more off-road and onto trails, and loved every minute of it. I'd come home after, splattered with mud, my shins itching with nettle rash and with a host of greenery trapped in my shoe laces. I went from dodging tourists to hurdling sheep and was rewarded with stunning views. Despite running long distances over challenging terrain and including more hills than I've ever done before I have far less pain running on a trail than I do on the road. I'm not the only one to find this, so how can trail running reduce pain and help injuries? 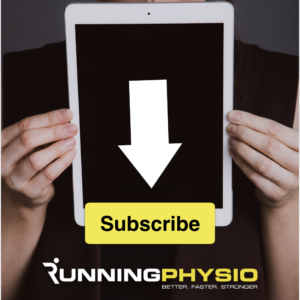 It's all to do with repetitive load – running on a fairly uniform surface stresses the same areas of the body over and over again. Those areas become overloaded and you start to develop pain. Trail running involves a variety of different surfaces – I usually run over grass, mud, gravel and forest ground with treacherous tree roots. This variety means the load on the body is constantly changing rather than overloading certain areas. It may also act as its own rehab – your body adapts to the constant challenges to your control and stability. Running a trail becomes like an advanced balance work out. When might trail running not be such a good idea? Running a trail requires good balance and stability, if you struggle with this then you may need to work on it first – assess and rehab your balance. It may be that trail running will do this for you as long as you don't do too much too soon. The biggest concern though is usually recent history of ligament injury or joint instability (a joint that gives way or feels unstable). Common injuries of this type are ankle sprains or MCL injuries (injury to the Medial Collateral Ligament of the knee). If you suffer from recurrent sprains or instability it may be wiser to stick to road running, or more predictable flat surfaces until you have improved your stability. Like any change in running it's best to introduce it gradually. Start by including some grass sections in your runs, then find short trails to add in before slowly increasing the distance. It's sensible to continue some road running, especially if you are training for road races – a mixture of training on road and trail often works well. Remember the weather – road running in the wet can be a little treacherous but trail running in poor conditions can be very slippery and muddy even quite dangerous. Be safe – off the beaten track it's easier to get lost and much harder to hail a cab if you pick up an injury – take your phone, tell people where you've gone and, if possible, run with a partner. Tackling unknown trails is exciting but can be more orienteering than running! On my most recent 'exploratory run' I covered 17 miles in 2 hours 50 mins. Of that time only 2:16 was spent running, the remaining 34 minutes was spent wondering where on earth I was! For long runs consider taking an OS map or using an App on your phone. Also worth carrying some fluid and a little food, especially if you're heading deep into countryside. Final thoughts: trail running can be a welcome change from the repetition of roads and may even have benefits for your balance and stability. You'll find yourself experiencing awe inspiring sights too, like this…. Great article Tom. Such a useful sharing of personal experience. I see changing running surface the same as cross-training and as such leads to similar benefits. If we accept that most running injuries are the cause of miles of slowly accumulated repetitive strain leaving us vulnerable, exposing itself when a sometimes tiny increase in frequency, intensity or time is made (the straw that breaks the camel’s back), it makes perfect sense for us to expose our bodies to varying conditions and running surfaces. If recent research into sensory feedback from the feet is anything to go by, rotating the forces they have to deal with can only make us stronger (as long as we take our time and listen to our bodies). And if changing running surface is a way to deal with energy, so too could be wearing different styles of trainers. Rather than pounding away on the same trainer time after time and thus exposing our body to the same repetitive strain time after time (sounding a bit like Cyndi Lauper now…), maybe mixing up footwear is a valuable tool in strengthening our body against injury? Thanks again for sharing and happy 1st birthday to your great blog! Incidentally, I took one of my athletes out on a trail run after a hamstring injury. He can be injury prone, and i told him trail running would be a great way to get super fit for foltball and stay injury free, due to all of the above. The area i fell foul of was introducing too much too soon. The day after the run his achilles was incredibly painful and has remained an improving problem for the last 3 weeks! Interestingly, we both did the run, i had no issues whatsoever, even though it was completely new to me also. Not the most popular person at the club currently. But a lesson learned! FYI. Hamstring no issues, no previous history of achilles problems. Speaking as an oft injured runner I have just been running exclusively off road for the last 6 months and have increased my distances and intensity without problems. I partially put it down to the reduced load but surface variety and the lower profile of many trail shoes may also play a significant role. Thanks for discussing this. I agree strongly that trail running can be very enriching, stimulating and generally a very positive thing. Most of our ancestors had to negotiate uneven terrain. Evolution happened on trails! Our modern lifestyle leaves us to plod along on flat surfaces. I’m not sure that’s a very healthy thing. I think most if not all runners would benefit from some time spent among dirt, rocks, roots, etc.